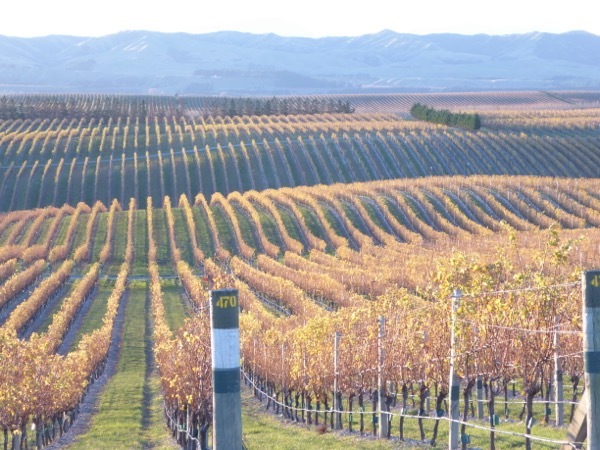 We turned off towards the coast from Seddon, the sun was low in the west casting a beautiful glow over the rows of vines in their autumn glory – yet to be pruned, their leaves reflected the sun perfectly. 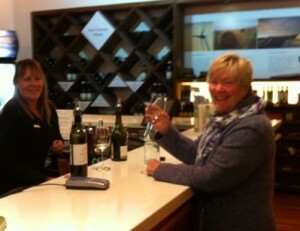 The Cellar Door was open until 4.30, so time enough for us. A huge arch of roof contains the main cellar area, grounded with huge beautiful wooden beams and plantings. A warm welcome at reception where the remains of a huge trunk of matai frames the desk – which is made of the same timber. The woman at reception comments that it is the best desk she has every had. A short video introduces us to Peter and the compelling story of finding this plot of land – although a native of the area, he had not been here. 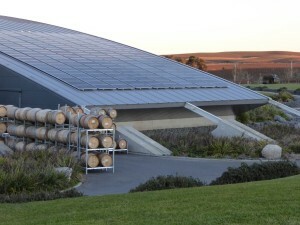 Once he saw it, he bought it and the rest is history – this carbon zero sustainable and prize winning vineyard was born. 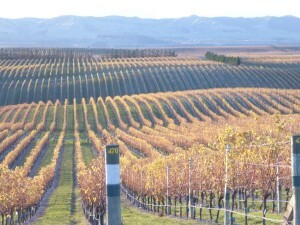 Autumn Colours – what a sight! Peter was a fisherman and deer farmer before this venture into wine. 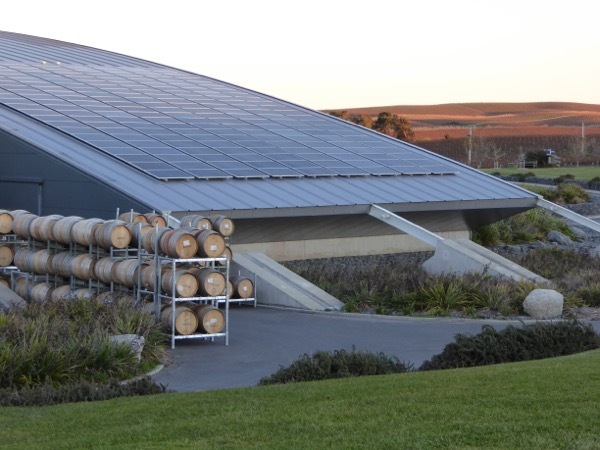 From the start he wanted it to be different – carbon neutral and sustainable, and of course producing good wine. 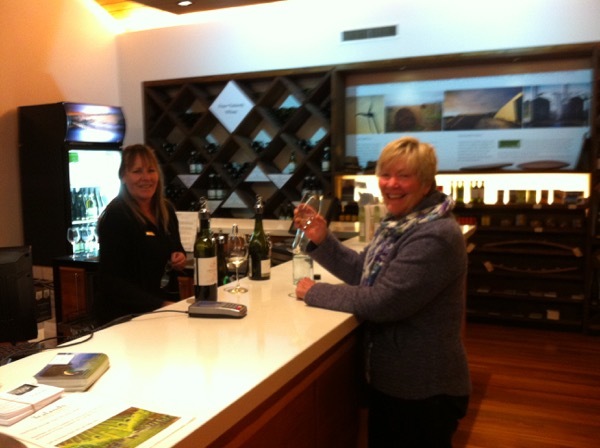 The tasting introduces us to the wine that is only available in fine wine outlets or here at the Cellar Door. It is something special – not over the top expensive, but a winner. The piece de resistance is a bottle of single block wine which has one the top Sauvignon Blanc in the world! We also enjoy the Pinot Gris, we walk away with several bottles of each, and being a sparkles girl, a set of three small bottles of their ‘fizz’. Having watched the video, tasted the wine, bought some wine, the final treat is a self guided drive around the vineyard where we see some of the things that make this winery stand out from the rest. They have planted over 25 wetlands and 75,000 native trees and flaxes on the vineyard now providing a haven for birds. The compost making beds produce 50,000 tonnes of compost per year. 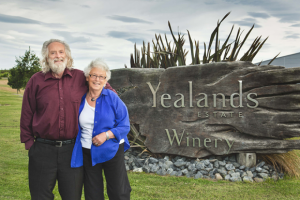 Their special brew contains bark, mussel shells, seaweed, lime, cattle paunch, as well as grape marc from the Yealands Estate and other Marlborough wineries. 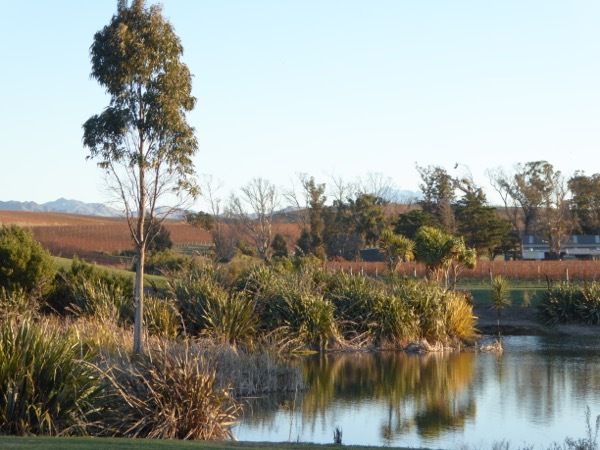 The ‘music in the vines’ – classical music playing across the vineyard for the grapes. I really like Peter. He has a kind face, and yet he has achieved so much, and over a broad range of activities. It is telling that he has taken the Sustainability route with his vineyards, but is still the most successful grower in the region. His biography ‘A Bloke for all Seasons’ by Tom Percy, is a cracking read, and guaranteed to put a smile on your face with almost every page. I hope he and Val enjoy a happy retirement, because, by heck, they have earned it.